This conference is for those first responders who work all sorts of hours. These are our heroes and our protectors, and we want to support them as much as possible. We know you do too! In addition to sessions going round-the-clock, all sessions will be video-recorded and uploaded to an online classroom immediately after finishing so that attendees can even watch the ones they have to miss, and those recordings will be available for a full week after the conference! As a sponsor, your 15-, 30- or 60-second commercial will be included as part of this video upload. We are so thankful that you want to join us in this really unique training experience, and help us support these heroes. Because they are so unique, and their work is so unique, we've made this conference equally unique. Sessions will be running for 36 hours straight. We're allowing 30 minutes in between each and every session, for breaks and vendor visits. BUT... here's the fun part... we aren't going to make you sit at a vendor booth bored to tears for days on end. Nope. We're making our vendor experience interactive and fun. With participants earning points for vendor conversations, we're setting up a speed-dating.. nope.. speed-vendoring situation. Participants will sit across from vendors, and you get 90 seconds to talk with them, exchange business cards, give them your brochure, and tell them what you have to offer. And then.. DING.. rotate... you get a new participant to talk to! It's fast, fun, and there are prizes. If you make a great connection, there will also be plenty of time at your table for participants to circle back around and talk with you. Here's the hard part... we really do want vendors available for every shift. You probably can't stay awake for 36 hours. 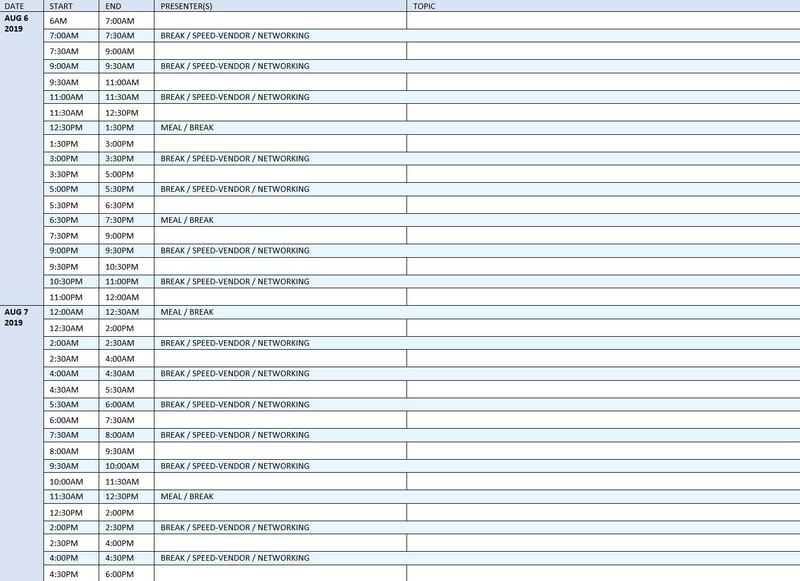 So, we're having vendors scheduled in shifts, throughout the full 36 hours. We need this full participation to show our support to these heroes who make sacrifices for all of us every day. Here's some more fun! Our conference program is going to be a biggie - like a coloring book. You get 2 FULL PAGES of advertising space, so make it good! Black & white only, coloring book style, so be creative. Make it fun. And tell everything you can tell about yourself in 2 pages. IF you don't want to attend in person, we have non-attendee vendor or sponsor options also! Get a mini-commercial, we'll give participants your brochures and business cards, you'll have an ad in the program. It's as easy as that! Provide any giveaways or door prizes you wish using your logo, etc. Vendor Option 2: No attendance/table space. Donate a door prize valued at $500 or more. You get a 2-page advertising spread in the program and a 15-second commercial on the conference website as well as during the conference breaks. Give us brochures & cards and they'll be included in the attendee packets. Vendor Option 3: No attendance/table space. $250 fee. You get a 2-page advertising spread in the program and a 15-second commercial on the conference website as well as during the conference breaks. Give us brochures & cards and they'll be included in the attendee packets. Download our vendor reservation form to give us all the details. 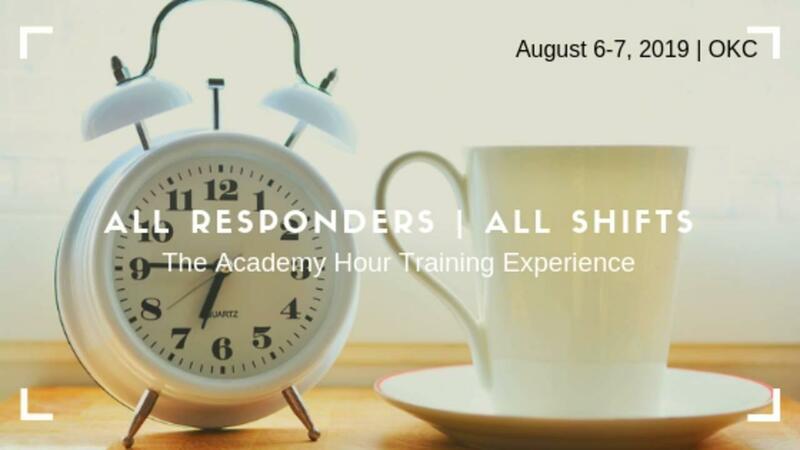 Ready to be a sponsor or vendor for the "All Responders | All Shifts | Training Conference 2019?" Let us know! We'll contact you with further details.